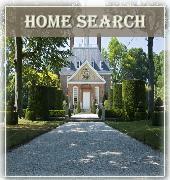 Time for a little recap of 2012 for Williamsburg, Virginia real estate. It’s always interesting to see which neighborhoods buyers were attracted to during their Williamsburg VA home search. Where were people buying homes in Williamsburg/ James City County and Upper York County in 2012 ? Well, let’s find out. Several new home neighborhoods in the area continued to sell well. Among them were White Hall, Colonial Heritage, New Town, Greensprings West , The Settlement at Powhatan Creek and Marywood amongst others. Note that a number of new homes are sold that aren’t reported to our MLS. I will post updates later in the year as soon as the tax records are updated. psst … I’m a Realtor! Welcome to Mr Williamsburg’s blog where I write about Williamsburg VA real estate trends, where to live, eat, play and how to buy or sell a house in Virginia. This part of the world is where I call home, it is a place I love and I hope that joy shows through!. I would love to help you find your dream home and community in the Hampton Roads or Williamsburg area or to sell your existing home.This post was authored by local resident and REALTOR, John Womeldorf. John is known around town as Mr. Williamsburg, for both his extensive knowledge of Hampton Roads and the historic triangle, and his expertise in the local real estate market. His websites,WilliamsburgsRealEstate.com and Mr Williamsburg.com were created as a resource for folks who are exploring a move to Williamsburg, VA , Hampton Roads VA and the surrounding areas of the Virginia Peninsula.